This first book to provide a comprehensive overview of the recent progress made in this break-through approach includes expert contributions from a variety of disciplines. Particular focus is placed on high-throughput methods and the analysis of data thus obtained, as well as their use in silico experiments so as to gain an insight into the complex biological processes in neuronal systems. 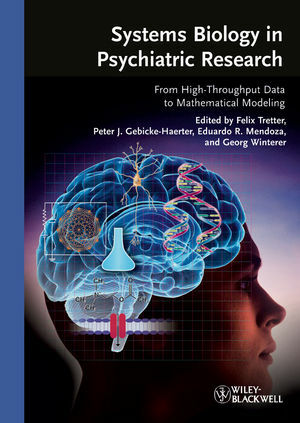 A must-have for everyone working in psychiatric research. Dr. F. Tretter is Senior Physician at the Klinikum München-Haar. He studied Psychology, Medicine and social science with separate doctorates. He worked in experimental electrophysiology for several years at Max Planck Institute for Psychiatry. Later, he worked in clinical psychiatry and specialized in addiction. His present research interests are related to withdrawal syndromes and their treatment, systems research in health care delivery systems, computer simulation of neuronal networks in mental disorders and philosophy of science. Dr. G. Winterer is Professor of Psychiatry at the Psychiatric Clinic, University Düsseldorf, and scientific coordinator of DFG research program : "Nicotine: molecular and physiological effects in the central nervous system of humans ". Dept. of Psychopharmacology at Central Institute of Mental Health, Mannheim. He started his career at the University of Göttingen and the Max-Planck-Institute there, went as a post-doc fellow to Stanford University, Dept. of Neurobiology, and then became a group leader in the Dept. of Pharmacology at the University of Freiburg. After his habilitation, he switched to the Clinic for Psychiatry in Freiburg and in 2000 went to the Central Institute of Mental Health in Mannheim. His CV contains almost 100 original publications, various reviews and/or book chapters.